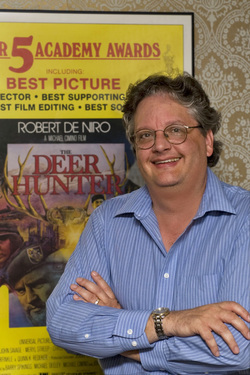 Richard Rothrock is an award-winning writer and teacher with an undying love for film, television, literature, the Indianapolis 500 and all things Disney. He is a proud graduate of George Washington High School in Charleston, West Virginia. He holds a Bachelor of Arts in English and Film from Oakland University and a Master of Arts from Bowling Green State University. His work has appeared in magazines, newspapers and book anthologies. He currently teaches writing at the Motion Picture Institute in Troy, Michigan. He still wishes to fly in outer space some day and would move to EPCOT city in a second if it were ever built.